If you are looking for a cute mystery book, I would definitely check out "Prep School Confidential" by Kara Taylor. I was hooked right away in this fantastic read. 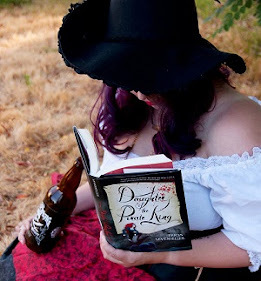 The main character Anne was so easy to love and connect with. Who doesn't like a character who is trying to figure out her own life? When Anne accidentally starts a fire at her old school, her parents send her away to boarding school. Anne has trouble fitting in at first, but she finds out that her roommate and her get along really one. One night Anne goes out to a party with some of the other girls while her roommate stays in. The following morning Anne's roommate is dead and no one seems to know why. When Anne starts digging around she finds out that there are people involved in her school that are covering up her roommate's murder, and Anne wants to know why. I really enjoyed "Prep School Confidential." I think Kara Taylor did an amazing job. This is definitely a light hearted read that I would take along with me on a vacation or to the beach. It isn't super long, but the reader can actually feel like they read a quality story in the end. Taylor definitely gives her characters dimensions so that the reader is actually getting to know some complex people not just flat boring characters. 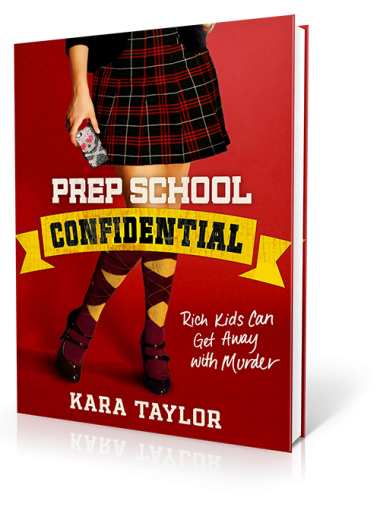 "Prep School Confidential" is set up like any other high school book, there is definitely a popular crowd and a mean girl that needs to have her thrown over turned. Pick up a copy of "Prep School Confidential" as soon as it comes out because it is a very enjoyable read. I give "Prep School Confidential" four out of five bookshelves. Kara has a BA in English/Secondary Education from Stony Brook University. She loves New Girl, sushi, and puppets that say rude things. It’s her dream to own a bakery someday. Kara was inspired to start writing in part by her grandmother giving her Harry Potter and the Sorcerer’s Stone, and in part by her father’s bizarre antics, such as blow-drying his car. Her father looked like Borat in the 80′s. Kara lives on Long Island with a Chihuahua named Izzy and a kitten named Felix. Her favorite authors are Gillian Flynn, Maureen Johnson, and Nelson Demille. She writes full-time, both on the PREP SCHOOL CONFIDENTIAL series and on an untitled television pilot for Warner Brothers Studios.